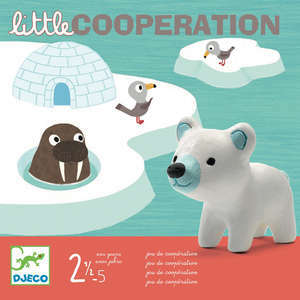 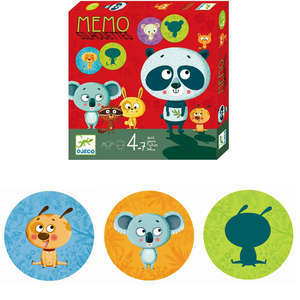 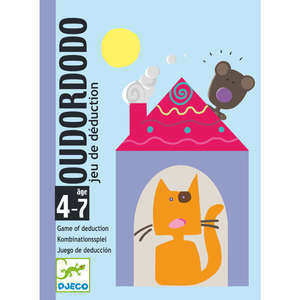 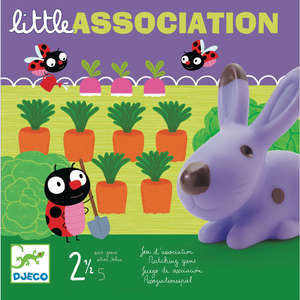 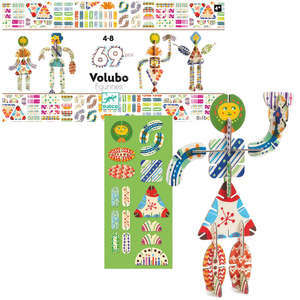 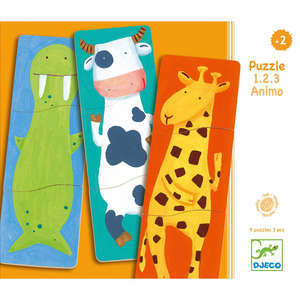 Ludiform is an unusual animal themed wooden puzzle from Djeco. 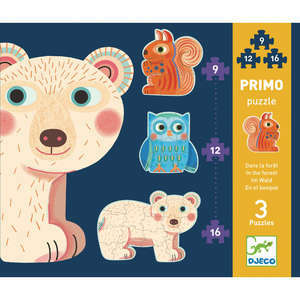 At first glance, the lift out puzzle pieces look like 2 piece squares and circles. 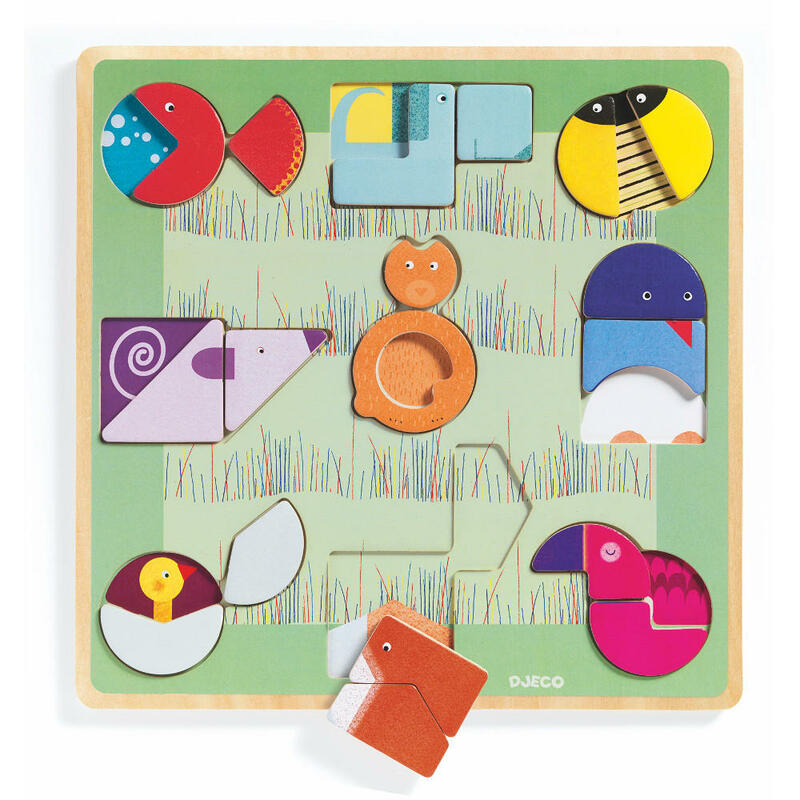 But when you split the pieces up and place one in the adjoining cut out area you discover fun animals that were hiding there all along.